With so many Content Management Systems to choose from, you need an expert like 3wC to determine the right one for your needs. It is very important for businesses to include content on their website that is easily understandable and relevant to what their audiences are searching for. Additionally, the content on a website needs to be updated regularly in order for the site to stay on top in the rankings. For this, a proper Content Management System (CMS) needs to be in place. 3wCommunications provides you with complete website development services that also includes Content Management solutions. We are well versed with all of the popular Content Management Systems such as WordPress, Joomla and Drupal. If you have a small to medium-sized business and need content uploaded often, then a Content Management System (CMS) would be important. We at 3wCommunications will give you all the assistance you would need in the management of your website’s content. Also, we will help you manage your content in a way that would help your website rank better than your competitors. Want to know which Content Management System is best for your business? Then ask the experts! Email us at info@3wcommunications.com or call us at 856-482-2424. 3wC is a full service WordPress production company. With such a high concentration of our website development focused on WordPress, you know that we are well versed in its robust feature set and best practices. Our team delivers outstanding, highly functional and custombizable WordPress CMS solutions. WordPress started out in 2003 as an open source blogging software platform and quickly became the most popular blogging system in use on the Internet but eventually developed into a complete, sophisticated Content Management System (CMS) based on PHP and MySQL. It has many features including plug-in architecture. Our custom developed themes move beyond what is available through the open source environment, and provide you with all the great features of a WordPress managed site custom tailored for your business. A very important and popular component of WordPress is that there are well over 20,000 plugins that users can install to extend the functionality of their WordPress website. Widgets are small modules that provide drag-and-drop sidebar content placement and implementation, which allow WordPress developers to add functionality to WordPress sites. Popular widgets include weather, facebook recommend, facebook fan page, recent posts, facebook activity, RSS Feed, tags, etc. Native applications exist for iPhone, Android, Windows Mobile and BlackBerry platforms, which provide access to some of the features in the WordPress Admin panel and work with WordPress.com and many WordPress.org blogs. WordPress is extremely search engine friendly because of its clean permalink structure and ability to assign nested, multiple categories to articles and support for tagging posts and articles. WordPress also supports the trackback and pingback standards for displaying links to other sites that have them linked to a post or article. Using WordPress is easy. We take the time to provide hands-on instruction to all our WordPress clients. Users can edit content throughout their WordPress site. They can edit blog posts and turn on or off “comments” or even edit comments before they become live. The main advantage then of a custom WordPress site is that our clients can manage the site themselves and do not have to come to us for maintenance. Clients can log into their WordPress administrative area and make changes from anywhere in the world as long as they’re connected to the Internet. What are the Advantages of a WordPress Blog? Every business website should have a blog. 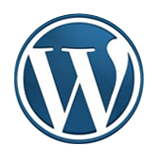 WordPress customization generally includes a blog. There are numerous benefits of having a WordPress blog. WordPress blogs are very popular with Google searches. Using WordPress, search engine optimization is very easy and effective. When you post – primarily in the blog – you are adding content to your website. As they say, “content is king.” Google loves seeing new content being added to a website. Be sure to use targeted keywords or keyword phrases in your blog post, and these will be immediately picked up by Google. 3wC develops powerful, customized Joomla websites and web applications. Joomla is a CMS suited for a growing organization and can handle the addition of virtually unlimited content. Similar to other content management systems, Joomla maintains everything in a structure that keeps it well-organized and easy to access. Functionality can always be added so your site or application stays current with updated features and components. 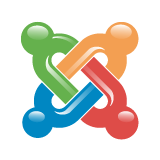 Joomla 1.0 was released on September 22, 2005 and has since grown into one of the most used CMS platforms today. Like WordPress and Drupal it is a open source CMS developed in PHP. Joomla’s popularity and user base is constantly growing. The Joomla universe is filled with thousands of free “extensions” that provide precise customization and greatly expand the capabilities of whatever web-based project it’s used for. Some of the most popular extensions focus on media display, E-commerce, blogging, social networking, complex forms, and a host of other options. Joomla extensions greatly increase its abilities. There are five types of extensions for Joomla that offer different functions: Components, Modules, Plugins, Templates, and Languages. Components – could be considered mini-applications. Components are the major portion of a page that are driven by menu items which, in turn, run the components. Plugins – are more advanced extensions that are basicaly event handlers. An example would be a plugin used to block user-submitted text and filter out unwanted words. Templates – describe the main interface design of the Joomla website and allow customizatin of the sites appearance. Templates determine the visual “style” of a website. Modules – allow for flexible page rendering and are linked to Joomla components to display new text or graphical content. Languages – are simple extensions that can either be used as a core part or as an extension. Language and font information can also be used for PDF or PSD to Joomla conversions. Many companies and organizations require their site or application to go beyond what is available in the basic Joomla package. This is not a problem since Joomla’s application framework allows us to develop sophisticated add-on features that extend its abilities in any direction. 3wC delivers highly customizable, robust Drupal developed websites and web applications that function as the driving force for sophisticated business operations and sales. Drupal’s standard structure and endless functionality options makes it a top choice for E-commerce websites. It’s a highly secure and scalable system that offers an endless array of configurations for specialized, complex enterprise level sites. Being a tremendously flexible CMS, a Drupal site can be built basically as anything and everything. Drupal became an open source project in 2001, and began garnering attention in 2003, when it became the platform for Howard Dean’s Democratic primary campaign. As of December 2012, over 800,000 sites are using Drupal, including large corporations, media & publishing companies, governments, schools and non-profits. 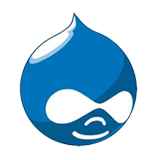 Drupal’s capabilities are centered around and expanded by its system of modules which offer developers a tremendous range of powerful tools from image galleries, custom content types and listings, to messaging, design and integration options. There are currently about 20,000 free modules available. Content Construction Kit (CCK) – used to extend the database schema and allow site administrators to create specific content types such as events, invitations, articles, products and more. Panels – used to create custom design layouts with a drag and drop interface. Views – used to facilitate the retrieval and presenatation of database content. Themes may be customized to alter or completely replace a Drupal site’s appearance. Drupal themes use a template-based system to further separate HTML/CSS layout code from PHP functionality. A distribution is a packaged version of Drupal that installs as a website or web application built for a specific purpose. Distributions offer the benefit of pre-configured modules and settings to prepare Drupal for custom operation. A distribution may be pre-configured as a E-commerce, news, or “brochureware” site among others.